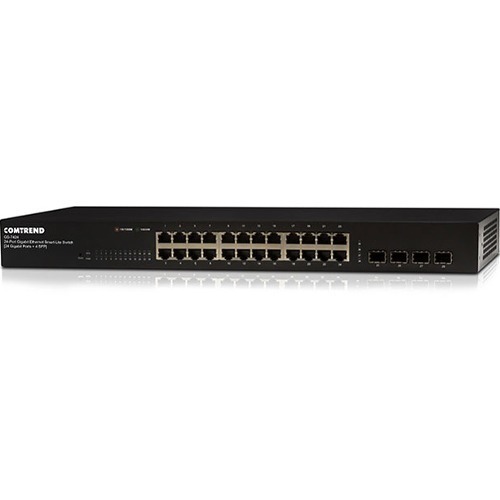 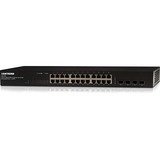 Comtrend's GS-7400 Series of Smart-Lite Gigabit Ethernet Switches offer the performance of business-class networking in a cost-effective solution. 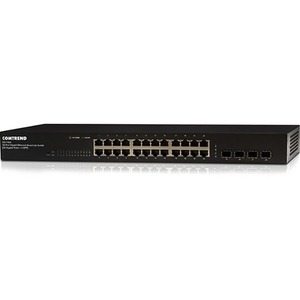 This series consists of 5, 8, and 24 Gigabit Ethernet port models that feature effective management such as remote network monitoring, traffic prioritization, and VLAN features. This series is ideal for the business looking for simple management in deployments of high bandwidth video and network services.